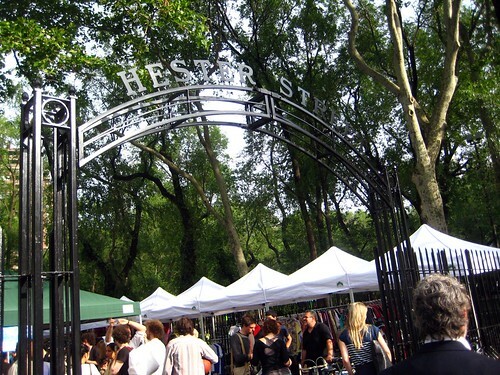 When I found out about the new Hester Street Fair, I couldn't contain my excitement. It is definitely a market needed in an under-served area, and such a great way to bring the LES community together. Bonus points for being easily accessible and surrounded by a massive park. And when I was finally able to stop by, I simply feel in love, quite possibly finding a new weekend lunch spot. Bez and I stopped by two Saturdays ago, when it was absolutely gorgeous out. Upon entering, there were two food booths at the front, but the majority are towards the back by the picnic tables. 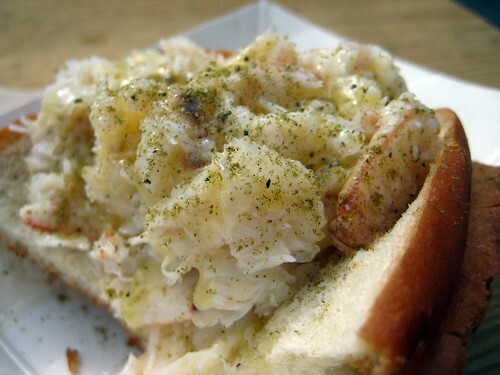 I promptly stopped at Luke's Lobster, my personal favorite in the lobster roll wars (it's the only one I'll eat.) I didn't get lobster though, a half a crab instead. Delicious, buttery, fresh, perfect. End of story. 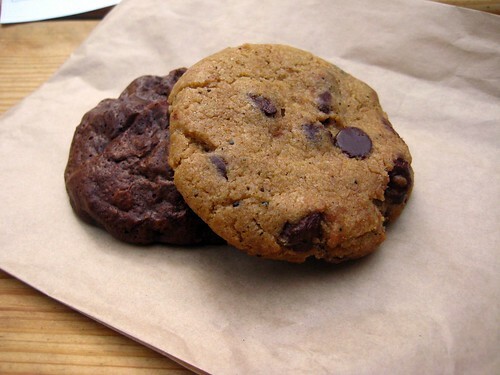 Then it was time for a little sweet, as in cookies from Sarivole Organics. The same Michelle from Roni-Sue is there to sell her baked goods, and her chocolate chip is vying to be my number one. It's buttery, chewy inside with a crisp crust, fantastic chocolate, and she's generous with the dough without it venturing into scone territory. Oh man, I'm craving one just thinking about them! 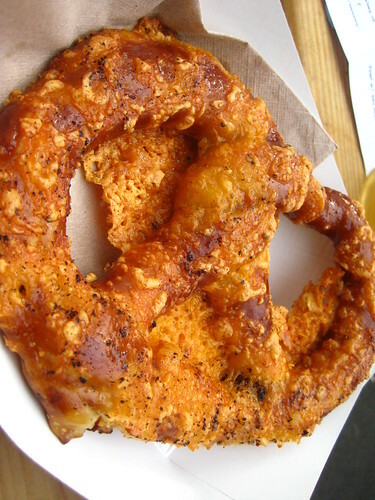 Time for savory again, and a cheddar pretzel from Sigmund's hit that spot perfectly. The cheddar is melted on, on-site, so you get it a little bubbly. Chewy, salty, and fresh, you'll never eat a street pretzel again. I thought it was a bit kitschy when I heard about them opening, but after eating this, I'm sold. I totally need to visit up their proper shop soon. I managed to snag one last sweet bite on the way out, the Red Velvet Cake Ball from Sweet Jewels. 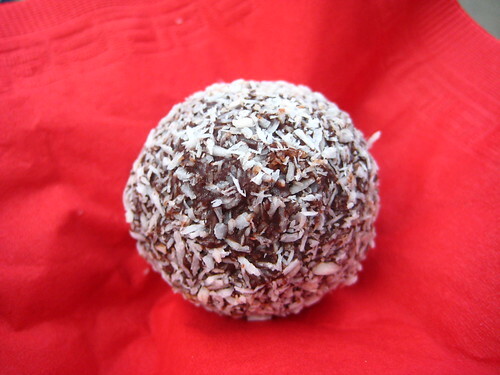 Dense and moist red velvet cake, covered in chocolate, then covered in coconut flakes: can't be wrong, no way, no how. I could have saved this for Brownie, but then how would I get her to go? I also had something for the road, a chocolate peanut butter pretzel pie from First Prize Pies. Pretzel crust, creamy and light peanut butter pie, covered in a good layer of dark chocolate, and a little bitty pretzel on top. This is the true candy bar pie. When Bez's roommate tasted his, he could only utter "mmm" "delicious" "so good" and "mmm" again. I fully concur. I'm amazed I was able to stop long enough to take this picture. red velvet cake ball..that is interesting! 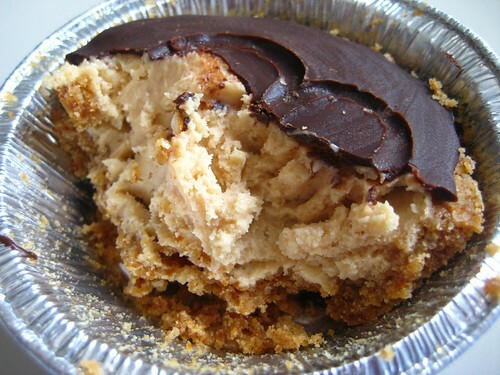 I keep seeing mentions of this chocolate peanut butter pretzel pie and I am intrigued. Do you think the peanut butter layer is made with cream cheese? As I am far, far from NY, I will have to settle for a homemade attempt. Yay, It's Farm to Table Time! Twice Fried Cherry Pies Return at Chip Shop!